With all the abbreviations of social media, casual chatting among friends and coworkers, and even busy lifestyles that sometimes don’t allow for slowing down for long conversations or letters, the complete sentence with proper grammar and structure is often ignored. Quick messages may be fun and faster, but for children learning to speak, fragmented communication can impede their language development. Talking with children in full sentences about what they see and do in the moment and including kids in everyday activities is a natural way for them to develop their language skills. Celebrate today’s holiday every day by discussing what you see on a walk, at the store or on the playground; by including your kids in chores around the house while explaining the steps; or by sharing today’s book! I’m thrilled to be giving away three signed copies of Rosa’s Very Big Job! See details below! Image copyright Sarah Vonthron-Laver, text copyright Ellen Mayer, courtesy of Star Bright Books. Image copyright Sarah Vonthron Laver, 2016, text copyright Ellen Mayer, 2016. Courtesy of Star Bright Books. Grandpa sinks back into his chair. “‘You are terrific at doing laundry, Rosa. And I am exhausted,’” he says. But this is no time to quit—Rosa has big plans. As she steps into the now empty laundry basket, she exclaims, “‘Come on, Grandpa! Get in the boat. Help me sail back to there.’” Rosa points to the linen closet. There’s a dangerous storm ahead, warns Grandpa, “‘I can’t hold the sail in this strong wind.’” Rosa is there to help and grabs one side of the sheet. “‘Hold tight,’” she orders. “‘Use both hands.’” At last the seas die down and Grandpa is ready to steer the laundry basket back to port, but Rosa has a more entertaining thought. Spying a sock on the floor, Rosa wants to catch the “enormous fish.” Grandpa obliges and picks up a hangar for a fishing pole. He holds Rosa as she stretches out over the edge of the laundry basket to land her fish. Just as Rosa nabs the fish, Mama comes home with her bags of groceries. She’s surprised to see that the laundry is not in the basket. Rosa runs to her and proudly explains, “‘We put all the laundry away. It was a very big job. We carried enormous piles. Grandpa dropped things. And I picked them up. It was very difficult for Grandpa. He got exhausted. But not me. I am terrific at laundry!’” Mama agrees that Rosa is a terrific helper. 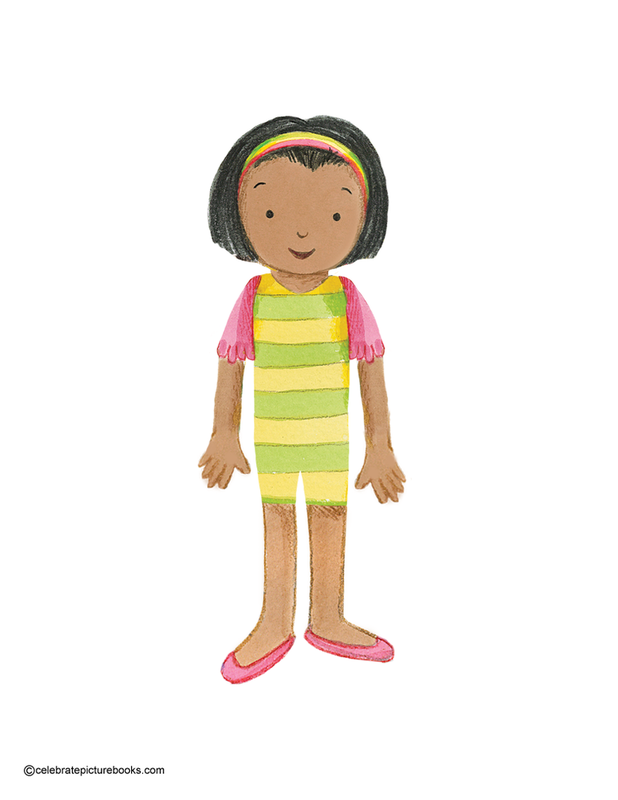 Then Rosa leads her mother to see the most surprising thing of all—the fish she has caught for dinner! In her series of Small Talk Books®, including Red Socks, A Fish to Feed, Cake Day, and Banana for Two, Ellen Mayer presents exciting stories for preschoolers full of imagination and rich language learning. Rosa’s Very Big Job introduces Rosa, a sweet girl bubbling with enthusiasm and the desire to help. Mayer’s joyful storytelling reflects the excitement kids feel while helping out and being “big kids.” Rosa’s vivacity and imagination are infectious and will make young readers and adults smile. The close relationships between Rosa, her mother, and her grandpa are endearing, and Grandpa’s willingness to share in Rosa’s imaginative play will delight little ones. His participation in the game models speech patterns and ways to introduce larger words in an organic manner through play and common chores. 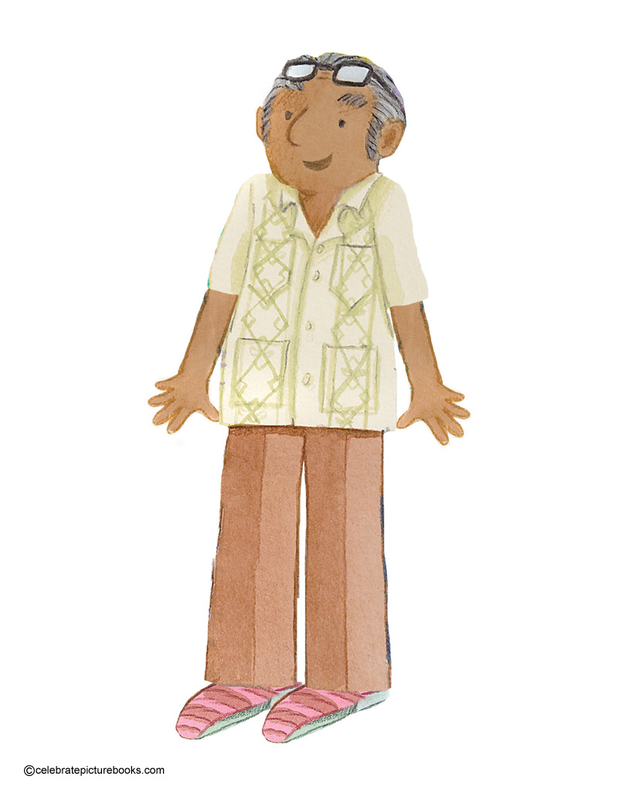 Humor, cheerful banter, and the easy camaraderie between Rosa and Grandpa, as well as Rosa’s pride in her accomplishments, invite young readers to join in the fun as they build confidence in their language learning. Sarah Vonthron-Laver depicts Rosa’s afternoon with her Grandpa with the spirited energy young children bring to everything they do. Grandpa is happy to spend time with his granddaughter, following her lead with good humor and a dramatic flair. The transition from doing laundry to using the basket as a boat is as seamless as a child’s imagination, and the way Rosa and her grandpa use household items to create “sails,” “rocks,” “fish,” and “fishing poles” will give readers great ideas for post-reading play. Bright colors, an adorable kitten, and familiar surroundings welcome young children into the world of reading and expanded vocabulary. Dr. Betty Bardige, an expert on young children’s language and literacy development, provides tips for parents, grandparents, and caregivers in a note following the text. 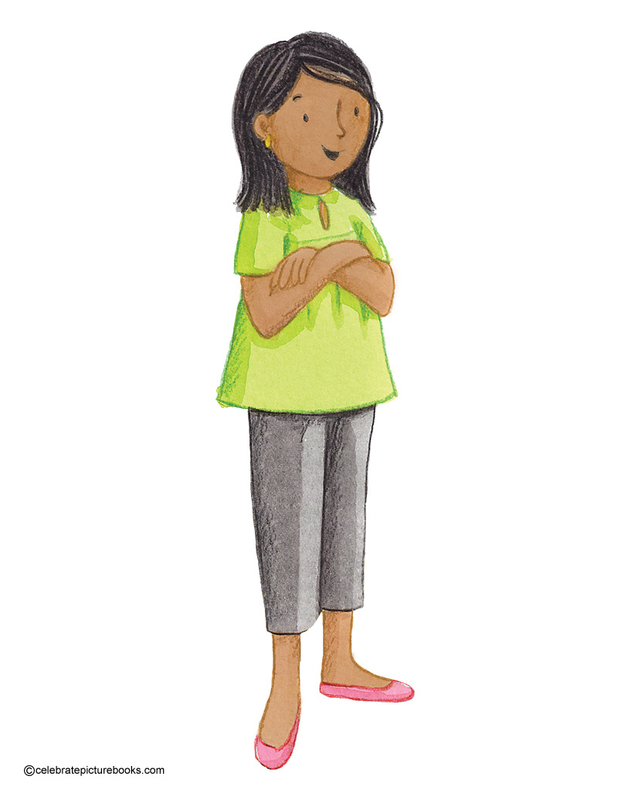 Rosa’s Very Big Job would be a welcome addition to any home or classroom bookshelf, not only for its imaginative story that kids will want to hear again and again, but for its joyful way of introducing vocabulary and language building skills that kids will respond to. 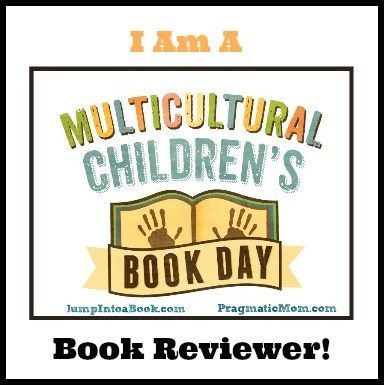 Discover more about Ellen Mayer and her books as well as book-related activities and literacy initiatives she’s involved with on her website! To read an interview with Ellen Mayer about her books and her work, click here! Find Sarah Vonthron-Laver on Facebook! Rosa’s Very Big Job Giveaway! 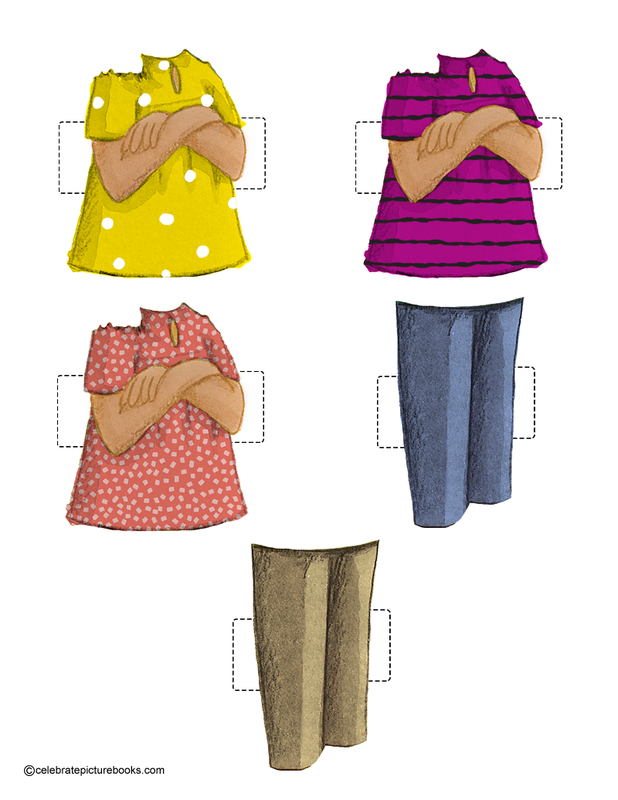 After you read the story, you can continue the fun with these Rosa and family paper dolls! Rosa loves helping out at home. She’s terrific at doing laundry – folding and putting away the family’s clothes, socks, and linens. You are terrific at helping too! 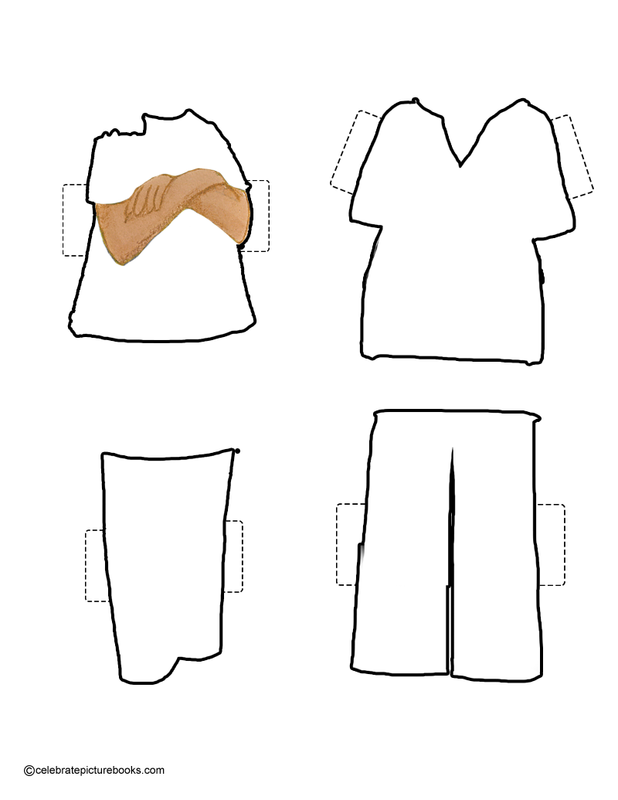 Can you help Rosa, Mama, and Grandpa get dressed and ready for the day with these printable paper dolls? You’ll even find a laundry basket, socks, and Rosa’s sweet kitty to play with! 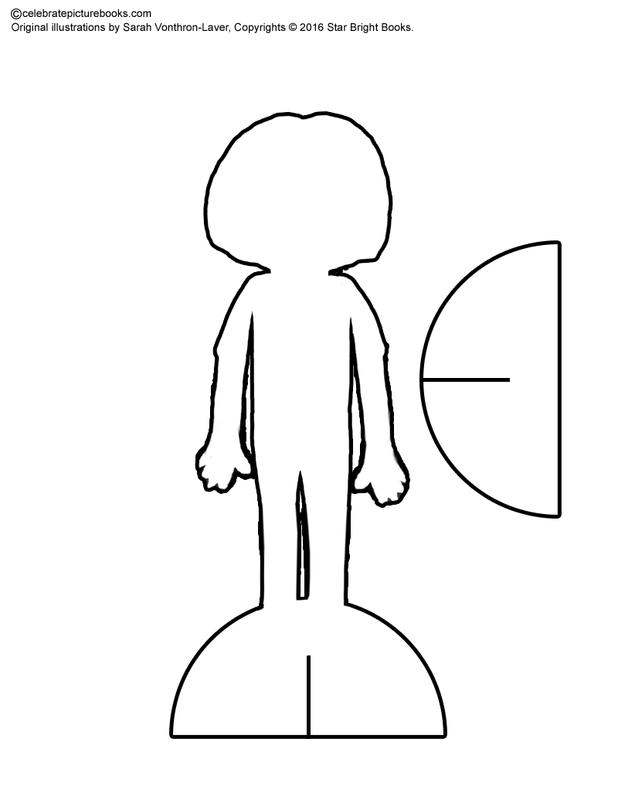 Print dolls on regular paper, card stock, or heavy stock paper. Dolls printed on card stock paper may stand on their own with the supplied Stand Cross Piece. 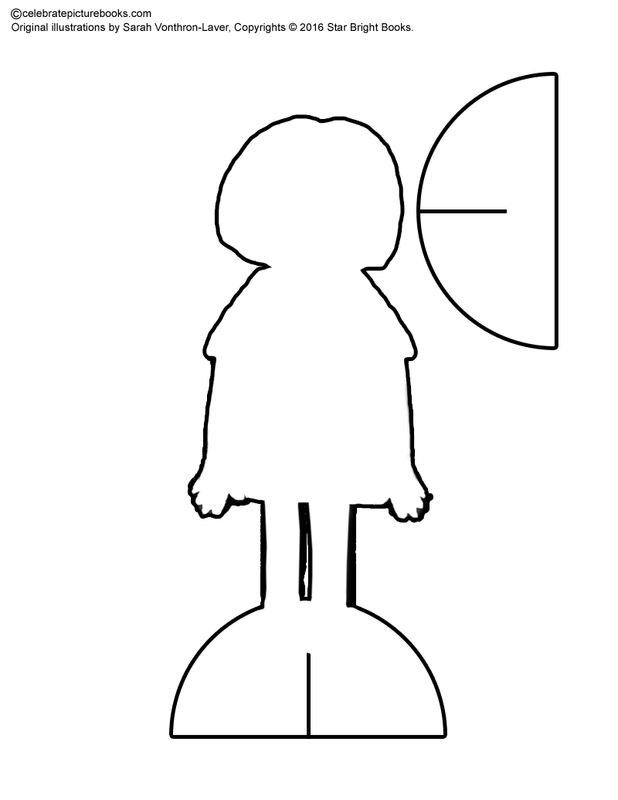 For dolls printed on regular paper, you can cut the supplied Stand Templates from poster board or card stock and glue the dolls to the backing. Make up your own stories about Rosa, Mama, and Grandpa! 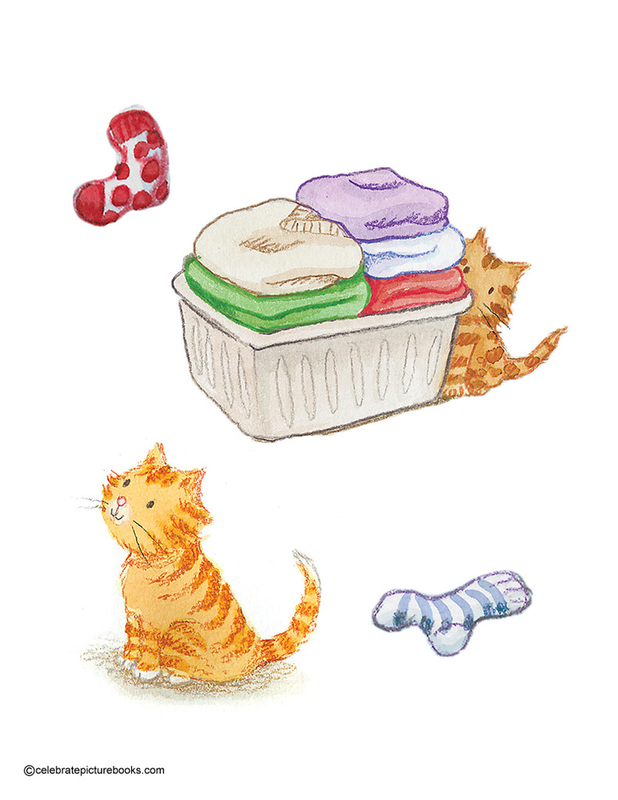 Today we fondly remember all of those socks that for one reason or other go missing from the washing machine, the dryer, the drawer, or even somewhere in between. While matched socks may look neat and tidy and “go” with an outfit, mismatched socks offer an opportunity to jazz up an outfit, show your personality, and have a little fun. Searching for hidden socks can be a game little ones love to play with older siblings or adult. Ellen Mayer’s simple and charming story of a particular moment in a mother and child’s day will immediately appeal to even the youngest reader. 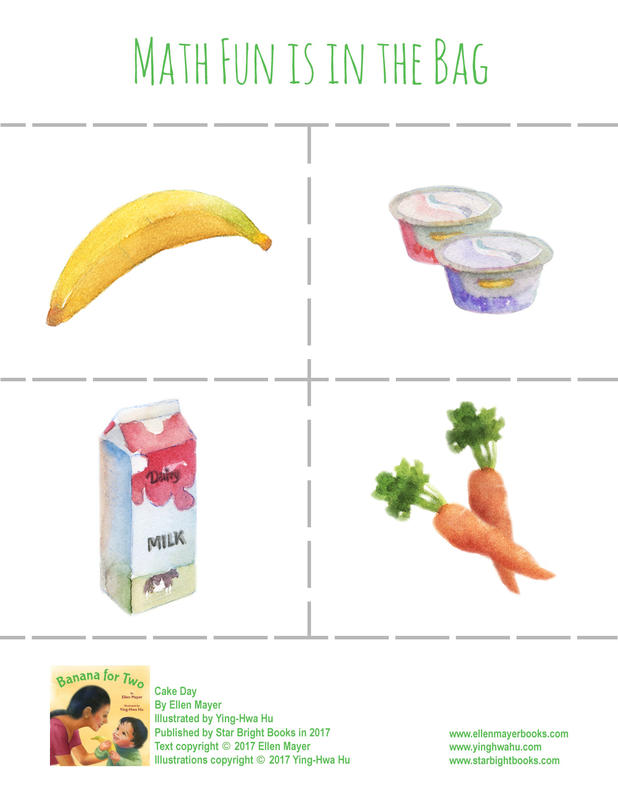 Familiar words coupled with clear, vivid illustrations will engage toddlers who are pre-talking and just learning language and concept development. The mother’s use of complete sentences as well as step-by-step descriptions of the activities the child sees and is involved in demonstrates how adults can converse with their babies and young children to encourage strong language and literacy skills. The laundry-day setting also encourages adults to share a little early math with little ones as they go about this common chore. 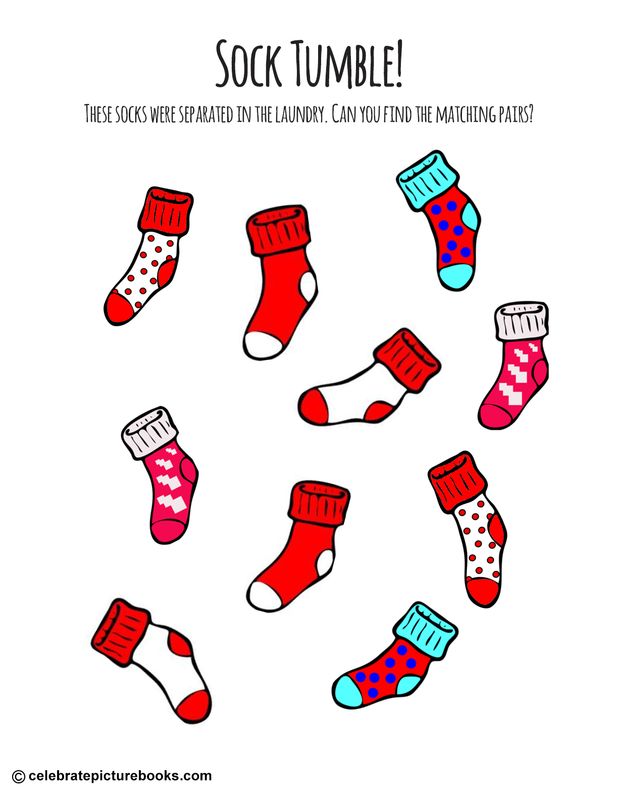 Matching socks, talking about and sorting clothes by size and/or color, and stacking folded clothes with kids are all ways to help little learners begin understanding math concepts. Red Socks makes a wonderful baby shower or new baby gift as well as a terrific addition to any young reader’s home library. Free from gender-specific pronouns and with gender-neutral clothing and hair style, Red Socks is a universal story. To learn more about Ellen Mayer and her Small Talk Books® (including other titles: Cake Day, Rosa’s Very Big Job, and Banana for Two) as well as to find accompanying activities, visit her website! To find a Laundry Love Activity Sheet with more early math fun you can have with everyday activities, visit the Star Bright Books site.